100% of Your Donation Benefits the Families! 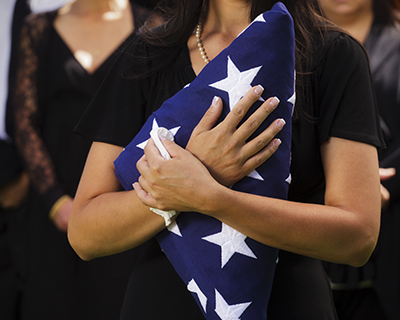 The Folded Flag Foundation proudly directs 100% of ALL donations to the cause - supporting the families of our fallen heroes. All administrative fees and expenses associated with The Folded Flag Foundation are paid entirely by our corporate sponsors - ensuring that your donation - ALL of it - goes to the FAMILIES, not the Foundation. The Folded Flag Foundation is a 501(c)(3) organization. Your contribution is 100% tax deductible to the full extent allowable by law. Click here to access our Financial Information Page. This donation is part of a fundraising challenge.